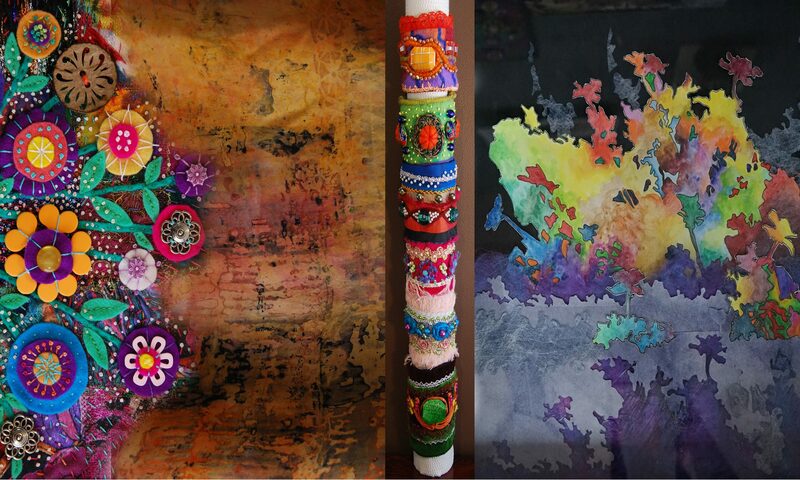 The ACT Textile Arts Association (ACTTAA) is an enthusiastic group of textile artists and hobbyists who join together the share skills through monthly meetings, play days and workshops. We are interested in using the design and embellishment of textiles to make a variety of items. Techniques we use include dyeing, fabric manipulation, machine and hand embroidery, silk painting, stencil work, stamping, felting, beading, and printing. We use these techniques to make a range of items including wearable art, wall hangings, paintings, sculptural forms, jewellery, bags, hats, and household items. You can see examples of ACTTAA members’ work and inspirations on our Instagram account. Take a look at our coming activities on our events page. ACTTAA is a not-for-profit organisation based in Canberra, Australia. We meet on the second Wednesday of the month from 5.30pm at the Woden Seniors Club, Corinna Street (corner with Melrose Drive), Phillip, ACT. Please go around to the back of the building and enter through the door on the left. We will often have a meeting activity and show and tell of members work. A light meal of soup and bread or quiche and salad is available. The formal part of the meeting begins at 7.30pm. To join ACTTAA, please fill in a membership form including payment details and bring it to a meeting or email to information [at] acttextiles.org.au. The new membership fee is $70 and there is an annual renewal fee of $60. New members joining after September 1 will not be required to renew until the ned of the following year.